In the quaint village Chinnalapatti, the Anjaneyar Temple is a small and neat Hindu worship house that boasts of a 16 feet Anjaneyar idol made of Saligrama tree. The magnanimous structure can be seen with his hands folded and his ‘Gada’ resting on his legs. The sparkling eyes of the idol will seem like resting on you in whichever corner you stand in the temple. The ornaments of the idol are made of butter, fruits, vada and jalebis –the popular delicacies of the state. The green costume is evident when Anjaneyar becomes Maruti. 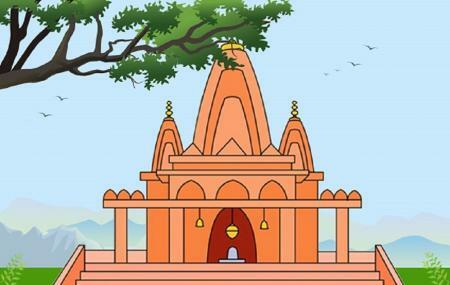 It is considered as a holy place as the legend goes that chunk of the Sanjivani Hill fell here while Anjaneya was carrying it to Laxman. Photography is allowed inside the sanctorum also. Personalize your visit to the city by chalking out a plan using Chinnalapatti trip planner. Fine Accommodation options like Hotel Sky Park, Hotel Vivera Grande and Hotel Pvk Grand Dindigul will meet your requirement of where to stay in Chinnalapatti. Draft the best Chinnalapatti vacation packages using ideal templates offered by TripHobo. Also explore how to reach Chinnalapatti on the go!